The 88 blue flags that southern Portugal treasured in 2016 only strengthened its established position as the perfect enclave for a few days of sun and beach. Less well-known are its Roman and Arab cultural heritage, the importance of its natural resources and its winemaking tradition, which sometimes are relegated to the background in the pursuit of summer fun. Just so you do not miss anything and find your balance, we have put together a small selection of the most charming towns in Algarve. Did we miss one? Let us know! Miniscule cobbled streets and one-floor white homes with blue details are the predominant landscape of this coquettish seventeenth-century fortified village built on a cliff. Most of the buildings date to the eighteenth century and coexist with Islamic and Roman ruins and with the medieval church of Our Lady of the Assumption, which is at the center of the town’s day-to-day. Welcome to the Portuguese Essaouira! It is framed by the Rio Formosa Natural Reserve: marshes, huge expanses of sand that disappear with the tide and noteworthy flora and fauna. Praia da Fabrica is among our favorite beaches. The tiny size of Cacela Velha compels us to move about six miles to find the best accommodation: Ozadi Tavira Hotel ****, modern architecture resort with the most traditional conveniences, such as gym, swimming pool and recreational area, and an impressive restaurant with panoramic views. 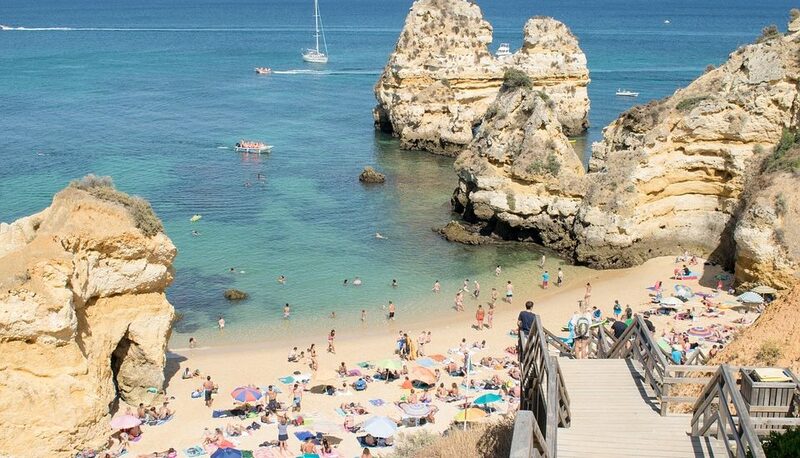 Lagos is most likely one of the most popular tourist spots in all of Algarve, so it is not just a coincidence that it is packed and does not lose an iota of interest. This place that barely exceeds a population of 30,000 is famous for its historic district, which showcases classical Portuguese buildings and vestiges of Arab settlement. Special mention is owed to Fuerte de Ponde da Bandeira, which is close to the harbor and the Church of San Antonio, dated 1715, whose sober facade is a counterpoint to the opulent gold decoration on its interior. Moreover, Lagos has a vibrant night life that begins at Rua 25 de Abril and as the hours go by continues on to Lanzarote de Freitas. Bon Vivant, a cozy three-story club with an intimate ambience is ideal for trying your first portonic of the night and is one of our favorites. From here you can easily make your way to any of the beaches in the western area. If you are travelling with your family, Dona Ana is your place: an inlet with fine sand framed between sculpted cliffs and very protected from undercurrents. Tivoli Lagos ****, luxury less than one kilometer away from the city center. Its pool overlooking the beach that is less than a minute away is just one of its many attractions. Foto cortesía de Monchique Termas. 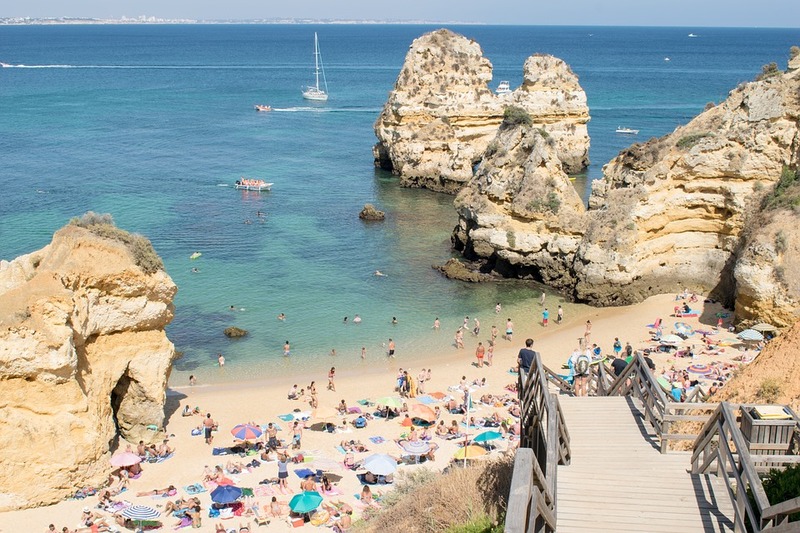 When you think of hot springs in the summer, what comes to mind is Switzerland, or some Austrian town, or even that hilarious book about the saga of Pepe Carvalho, “El balneario” (The Beach), but never Algarve. It is just that there still are places that have yet to become popular. In the medium mountain range near the Alentejo – where the other day, by the way, we recommended this infinity pool – stands Monchique, founded in 1775 as a result of a split from the city of Silves. An ideal panorama for hiking trails or soaking in hot water springs – alkaline and with fluoride – in Caldas de Monchique and escape the crowds. No beach here. You’ll get luckier the next time! 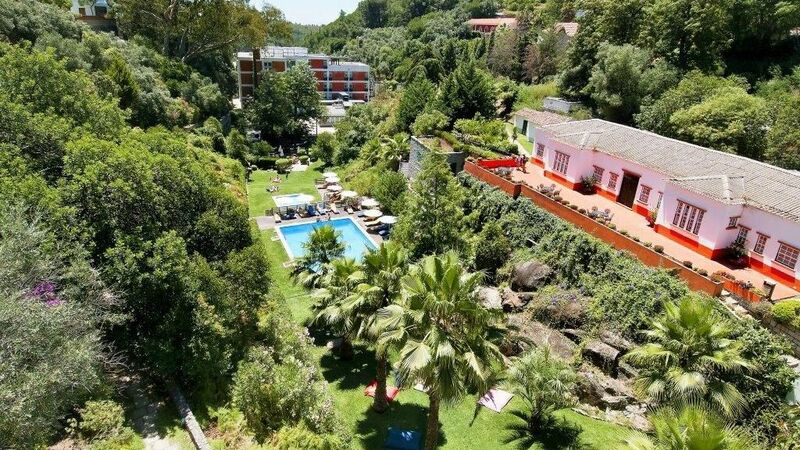 Villa Termal das Caldas de Monchique, we love this boutique hotel: 13 rooms in a renovated nineteenth-century mansion with a surrounding garden that features a pool. This district of Vila de Obispo is known for its rugged landscape, its strong tides and its surfing school. Its greatest cultural attraction is a fort by the same name, only a part of which is still standing, since it was damaged in an earthquake that struck in 1755. It greatest natural attraction, featuring wild sand beaches and biking routes, is Cabo de San Vicente, the westernmost point of Europe. The view is well worth the stroll! Since you are already here, do not forget to try one of the local delicacies, such as the “morena frita” (deep-fried moray eel), the “percebes”, or gooseneck barnacles, or the fish stew. There are many beaches and each one is appropriate for “surfers of [different] levels.” Mareta, Tonel and Baleeira beaches can be accessed on foot from town. And the first one is the most popular because of its moderate waves and its protection from the wind. Memmo Baleeira Hotel ****, right next to the beach as we mentioned in the previous paragraph, and with a greater supply of rooms and a top-notch spa. Olhao is not very touristic. Accommodations are extremely limited. Nevertheless, its traditional way of life, fishing, makes it a paradise for the seafood lovers. Your Instagram photos are going to look amazing here: everything is super fresh and does not need any tricks. Whitewashed houses or with polychrome and unruly tiles, countrymen soaking in the afternoon sun on chairs and the spectacle of the auction make up this southern genre postcard. Try the xàrem, a type of mashed potatoes with clams, leitao, a typical dry fish, or grilled sardines, squid and horse-mackerel. NOM-NOM! What’s for dessert? Sweets from the convent or honey pudding. Take a boat and fifteen minutes later the white beach of Armona is at your feet. Apartamentos Royal Marina Residence ****, less than one kilometer from the town center, two kilometers from the beach with a rooftop pool from which to enjoy the sunset over the sea. A lover of police dramas and lurid crime programmes in general. Galician through and through. I love soft-shell crabs and olives. And travelling. If my Spanish has too many accents, it’s because the RAE and I disagree.